Front and back printed for stock control. Make the process of tracking your inventory simpler. Easy-to-use tags let you fill in relevant information to ease the inventory process. 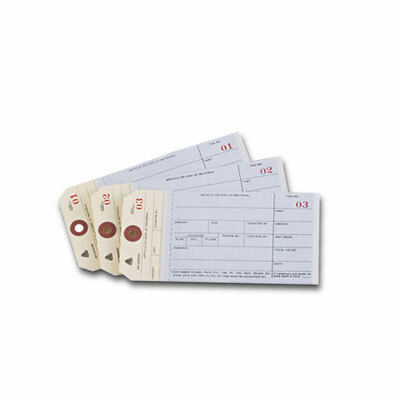 Each tag features a detachable top sheet and layer of carbon paper so you can keep the completed tag attached to the item and file a copy away. Made of durable, easy-to-read manila cardstock. Unstrung with a reinforced eyelet so you can choose your own means of attachment.